Ask How to Get a Waived Application Fee! Step out of the hustle and bustle of Valley life and come home to Level 550 Apartments in Mesa, AZ, conveniently located on McKellips Road. 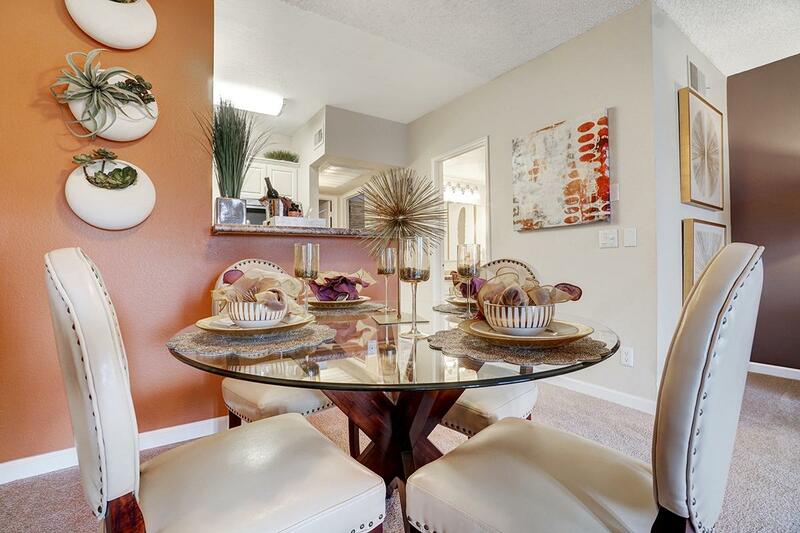 With quick access to the 101 Loop, 202 Loop, I-10, and also near Mesa Community College, Arizona State University, and premier shopping at Tempe Marketplace, Level 550 Apartments will offer you the good life. 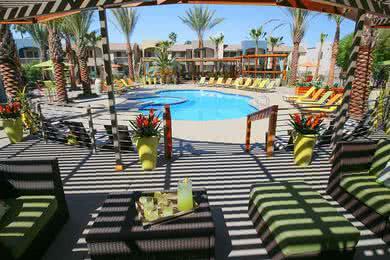 Level 550 Apartments in Mesa, AZ offers beautiful and spacious one, and two bedroom apartments for rent. 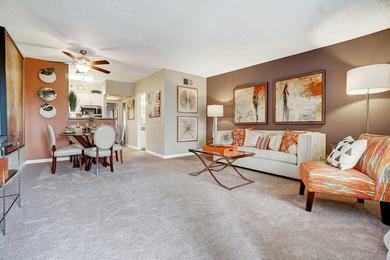 When you step into your new apartment, you’ll enjoy newly upgraded interiors featuring bright and open floor plans, expansive storage, brushed nickel lighting fixtures, over-range stainless steel microwaves, separate dining rooms, and fantastic pool and courtyard views. 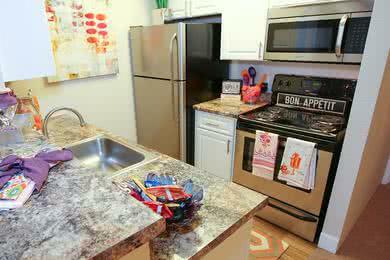 Our unique Mesa, Arizona apartments offer spacious floor plans with a washer and dryer included in all apartments. Apartments also feature fully-equipped kitchens with all of the appliances you have come to rely on, plus plenty of cabinet and counter-top space, and a great location for your dining room table. The kitchen opens to expansive living areas with over-sized closets with organizers. We offer an apartment living experience like no other that allows you to relax comfortably at home. 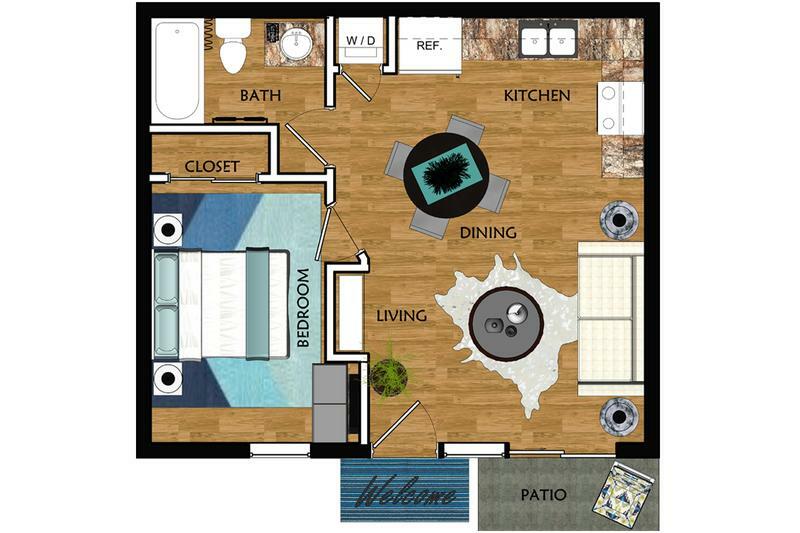 Level 550 Apartment’s great features don’t stop at our floor plans, when you come home to Level 550 Apartments in Mesa, AZ, you come home to a life of relaxation and recreation. Our State-of–the-art, 24-hour fitness center will provide you the opportunity to stay active by taking advantage of our free weights, weight machines, cardio deck, and much more. 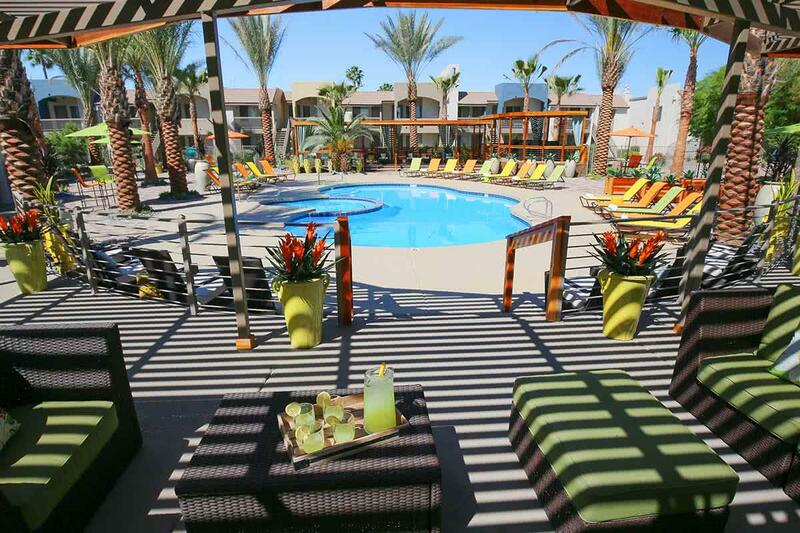 After your workout, spend time at one of our two resort-style pools featuring a Vegas-style cabana. 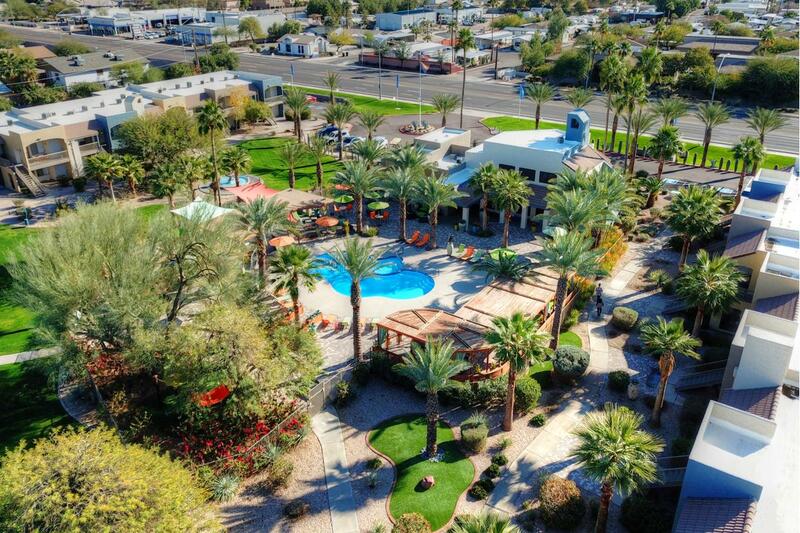 The fun doesn't stop at our pools; have your friends over an afternoon barbecue at one of our grilling armadas and challenge them to a match on our sand volleyball court or soccer field. You’ll be the envy of your friends when they get to experience the good life and also take in the brand new pet park, Internet café and coffee bar, and exceptional management team dedicated to your satisfaction. Level 550 Apartments has everything you need for an active and fun lifestyle! Each apartment has plenty of parking right outside the entrance of your home. Our award-winning maintenance team is friendly, helpful and efficient, providing you with have 24-hour emergency maintenance to help with any after-hours needs. You'll also have access to the best on-site management staff in town. 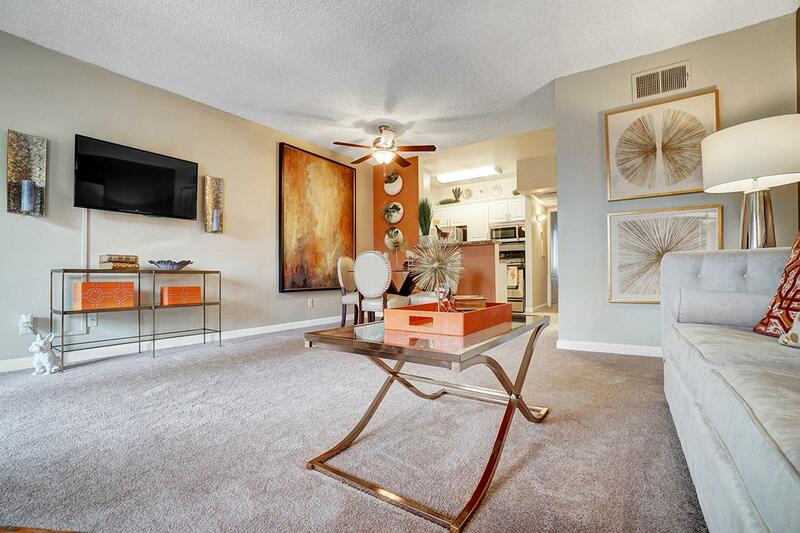 Level 550 apartments are located near Mesa Community College, Arizona State University, Tempe Marketplace, Old Town Scottsdale, and many expressways. Our valued residents enjoy the benefits of being in a prime location. Less than six miles from Tempe Marketplace, our residents have many superb shopping, dining, and entertainment destinations to choose from. Our residents can also enjoy being close to local salon and spas, art galleries and local eateries. Whether it's close proximity to local businesses or the convenience of having desired amenities within walking distance, Level 550 offers something for everyone. The community is surrounded by quaint neighborhoods, main street access to grocery stores, restaurants, coffee shops and pharmacies. By foot, bus or car, you're in proximity to everything Mesa has to offer. Level 550 is proud to partner with several preferred area employers such as American Airlines, Arizona State University, Mesa Public School System, and many more! Ask if your employer is part of this program to be eligible for move-in specials and pricing!